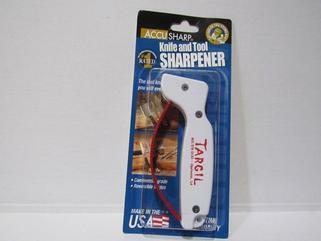 Sharpen your dull knives with this AccuSharp Knife and Tool Sharpener. The tungsten carbide sharpening blade is of high-grade industrial quality and the blade can be reversed to help double the length of use. Order yours today!